Just a little bit of history - The Philippine Independence was proclaimed by General Emilio Aguinaldo in Kawit, Cavite, on June 12, 1898. The day was declared a national holiday. Thousands of people from the provinces gathered in Kawit to witness the historic event. The ceremony was solemnly held at the balcony of General Emilio Aguinaldo's residence. 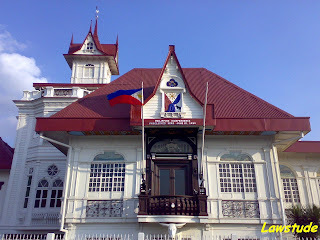 Aguinaldo Shrine is located in front of the historic Aguinaldo Residence in Kawit, Cavite. It stands proudly amidst a park made out of memorial markers engraved with signatures of our heroes. Since Cavite is near the Ninoy Aquino International Airport, its sky is literally bustling with airplanes arriving and departing from the airport. 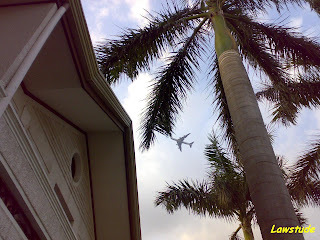 In the place where we stayed, even at nights, you can hear the airplanes crossing the sky. Can you spot the airplane in the pic above? 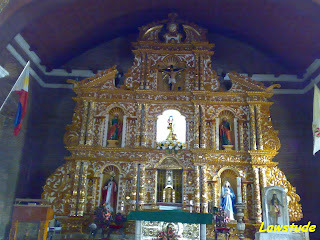 Before we went home, we visited one of Cavite's oldest church - The Saint Mary Magdalene Parish Church. 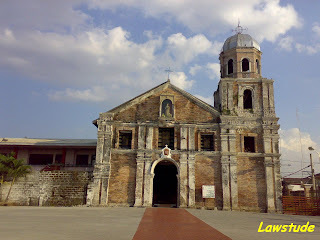 This Church was erected in 1638 by six Filipino families hailing from the towns of Maragondon and Silang. The cornerstones were built in 1737 and was devastated by a strong typhoon in 1831. It was handled by the Secular priests in 1786 and then by the Recolletos in 1894. This was where Gen. Emilio Aguinaldo was baptized in 1869, the president of the first Philippine Republic. The church was renovated and given a traditional face lift in 1990 through the concerted efforts of the Kawiteños. Its nice that guys like you are showcasing what your country can offer. At least we will have an idea of what to expect in the place. Keep It up. @ always - thank u for your comment. if u wanna travel to our country u can check and visit other travel sites in my sidelinks. i strongly recommend the blog of ivan about town and en route. hello, we have been to philippines many times and we also enjoy the historical landmarks there. i googled cavite and came upon ur blog. nice blog. congratulations. 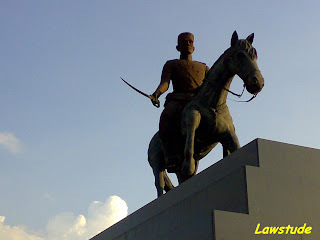 Visit Rogelio Santos' great site www.dock.net/rogers/cavite.html for more detailed info on Cavite.